organizer: Norwegian Forum for Form Therapy in collaboration with the Norwegian Association for Cognitive Therapy. 1. Participants are able to understand how symptoms result from a coherent process - a view of self / others / world (schemas) with its attributed meanings and solutions to specific situations. 2. Participants can have a conceptual framework and methodology for producing lasting change beyond symptom relief. 3. Exercises: techniques used for discovery, integration, and transformation of emotional truths. Psychotherapie is consequent dealing with emotional memories; et af dets mest grundlæggende spørgsmål er at være feasibility for modify them. For long, emotional memories have been reputed to be indelible (Ledoux, 1996). Therapists had to choose. Should we accept that this intense emotional response be exposed to an extinction process without the formal assurance that it will not reappear in a priming context (novelty, tiredness, stress)? Or, we should take this emotional response as a fact that we should learn to live with (acceptance, defusion ... while steering a steady course towards our values). Og om det var muligt at radikalt modificere en intensiv følelsesmæssig reaktion, som altid har været forbundet med en bestemt kontekst (for eksempel, føler jaloux når vores partner er i en kontekst hvor han / hun kunne forråde os)? A recent discovery from neurosciences, the memory reconsolidation process, offers promising responses to these issues while propelling psychological interventions to a new level of precision and efficiency. When triggered, emotional memory offers a time span during which synaptic connections could potentially be reopened. In reality, this apparent unshakeable solidity (emotional truth) is resting on the fact, that most of the time, the schedule has been reactivated in a context similar to the one in which it was learned. For eksempel kan en mistrust fremkalde den forventede holdning fra den andre, eller en situation der synes at være uforholdsmæssig til et skema er fortolket som værende kongruent (den terapeut synes at være for mig, men er kun gør sit job). We weten nu dat het mogelijk is om emotionele geheugenreactivering te gebruiken als een mogelijkheid om het te wijzigen: een keer in focale aandacht, deze impliciete geheugen zal gevoelig zijn voor een voorspellingsfout, een ervaring incongruent aan wat was verwacht. Bovendien, in scherp contrast met een extinctieprocedure die veel risico's met zich meebrengt, met overblijvende risico's of relapses, is geheugenherzegging vast en definitief. Norsk Psykologforening has approved the education in form therapy as a compulsory program for the specialty in psychotherapy. Norsk Psykologforening has approved this course as 16 timer maintenance-active. The course will be applied for as an optional specialist and postgraduate course of the Specialization Committee in Psychiatry and the Speciality Committee in General Medicine by the Norwegian Medical Association. 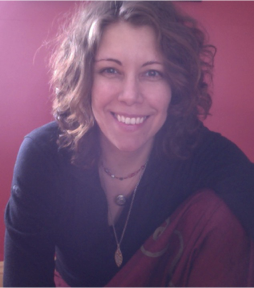 Sophie Côté is a clinical psychologist with a private practice in Quebec City, Canada. Her clinic, Psychology Momentum, offers clinical services and training in neuro-feedback and coherence therapy. She was the first person in Canada to defend a doctoral thesis on cyber-therapy. She is a Certified Advanced Practitioner of Coherence Therapy and has received the title of Associate Instructor of the Coherence Psychology Institute. Main areas of interest are: anxiety, self esteem, adaptation to medical problems, concerns around fertility problems. She devotes special consideration to issues of supervision in Coherence Therapy. 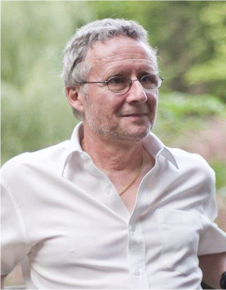 Pierre Cousineau is a clinical psychologist with a private practice in Montreal, Canada. He is an advanced Schedule therapist and gives workshops in Canada, France, Norway, and Morocco. He sees in Therapeutic Reconsolidation Process (TRP) or emotional memory a major advance in schedule transformation, a quest he has always longed for - a real schedule update. He is also Associate Instructor of the Coherence Psychology Institute. The education program is approved by the International Society of Schema Therapy (ISST) as a counselor for international certification in Schema Therapy. This course is mandatory to be certified.